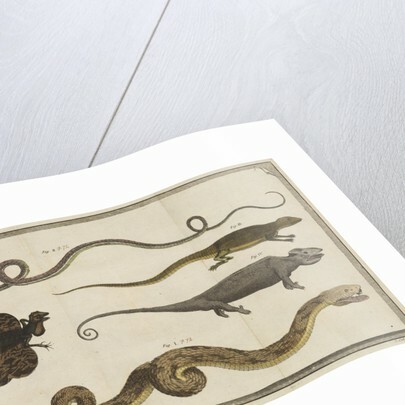 Zoological studies of five types of lizards and snakes. 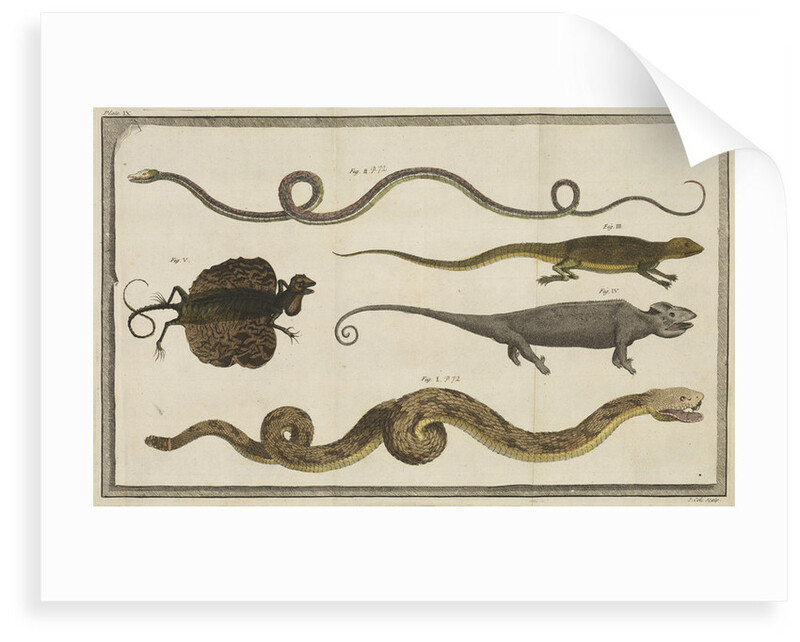 Figure 1 "The Rattle-Snake from the West Indies; taken from one of those preserv'd in the Museum of the Royal Society." Figure 2 "A West Indian serpent; taken from the original in the same Museum." 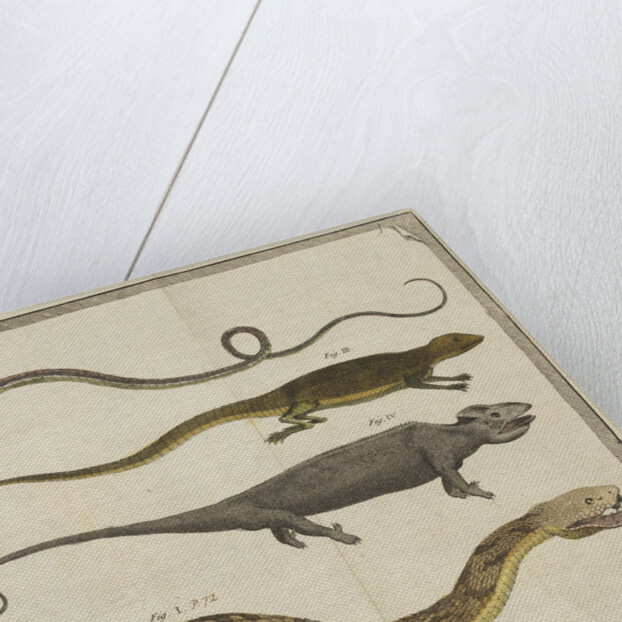 Figure 3 "A Lizard from Sir Hans Sloane's Cabinet". Figure 4 chameleon, "The Camelion; from the Royal Society." 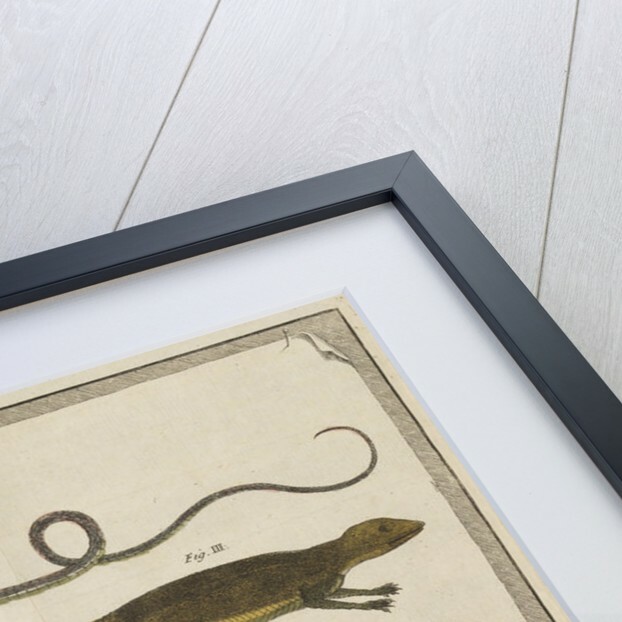 Figure 5 "A Flying Lizard from Amboina in the East Indies; from my own collection..." [Ambon in the Moluka Islands, Indonesia, therefore Draco linneatus?] Plate 9 from the book A philosophical account of the works of nature, by Richard Bradley (London, 1721). Inscribed "Plate IX. T.Cole sculp." Richard Bradley (1688-1732) English botanist and writer, was elected a Fellow of the Royal Society in 1712. Figure 1 on this plate is a specimen from the Royal Society's Repository.